I discovered this bar as a new product listed on the Ocado website. I do like that Ocado has a link to tell you about its new items, it does make looking for Foodstuff Finds so much easier! As much as I love nuts and chocolate I wasn't expecting too much from this bar of chocolate, I only took pictures as a just in case it is worth blogging about, and as you may have already spotted it certainly turned out to be. The bar is absolutely packed with nuts and crunchy cereal crispies. I was surprised by just how much was packed in, the back of the bar showed it off perfectly. The design on the front of the bar did make it a little difficult to break into equal pieces, but it was pretty enough. The chocolate isn't high end, but it still hits the spot, it is sweet and there is enough cocoa to make it enjoyable and easy to munch on, but the texture is just something else. 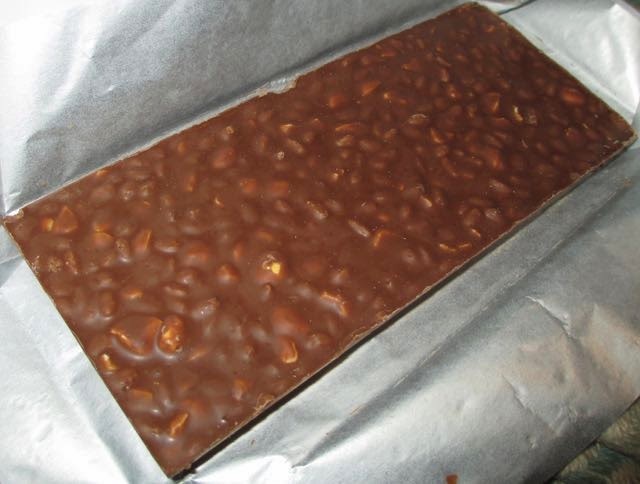 There are loads and loads of nuts which add a good hazelnut flavour and that in combination with the crispies just made this such a pleasing bar to munch on. 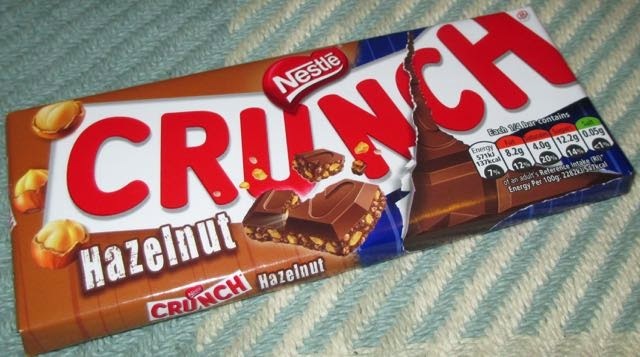 Yes I know it's called Crunch, and so you expect a certain level of crunch but it really does do it rather well. I also write this as biased lover of nuts and chocolate, but the bar turned out to be a delight. This was a surprisingly good find and one I will definitely be adding to my online order again. Perfect for a chocolate fix and an enjoyable munch while watching the TV.